DOVE Mission International plans an annual springtime celebration where missionaries and international guests from DOVE churches around the world gather for an evening of relationship building and giving God adoration. 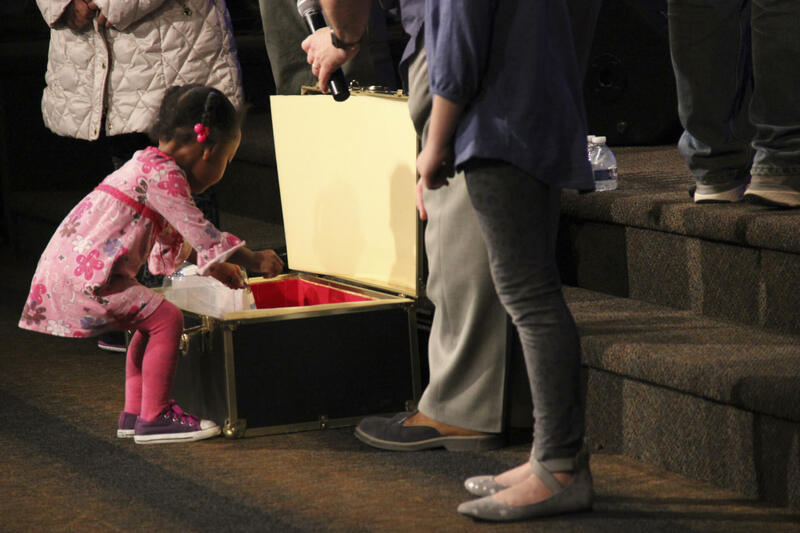 As people arrived at Newport Church Saturday evening, March 17, two rows of greeters from a variety of cultures cheerfully welcomed each one. 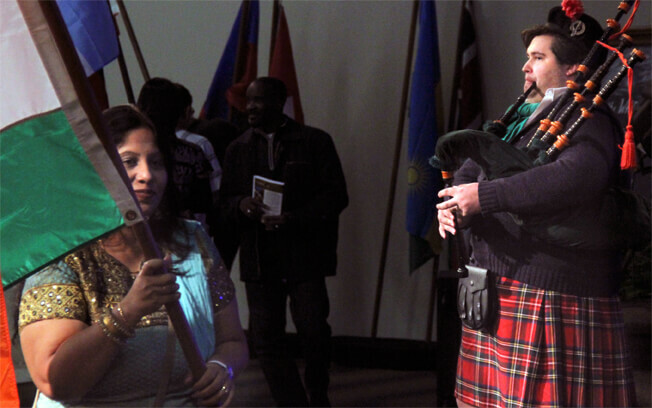 A bagpipe player led a procession of flags from many countries that were carried to the front of the auditorium. The service opened with a warm welcome by Peter Bunton and greetings from overseas workers were shared via video. Young dancers from Cavod Academy expressed their worship with sounds of African, Asian and Latin music. A Latino-style worship team from TransformChurch, Reading, PA led the congregation in a time of praise. 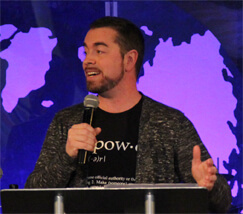 Dave Smith, a DMI missionary in New Zealand, shared an original song in the indigenous Maori language and in English. The message was given by Justin Shrum, who has been a missionary along with his wife Rawan in Germany for the past eight years. Together they lead The Justice Project, helping people leave enforced prostitution and trafficking. Justin challenged us to live for Christ in all we do. $6,000 gets doubled to $12,000 for missions! DOVE USA is praying that 2018 will be a year of financial increase. During this year there are matching funds available up to $52,000. Over $6,000 was given in the offering at the festival, which now becomes over $12,000 for missions. 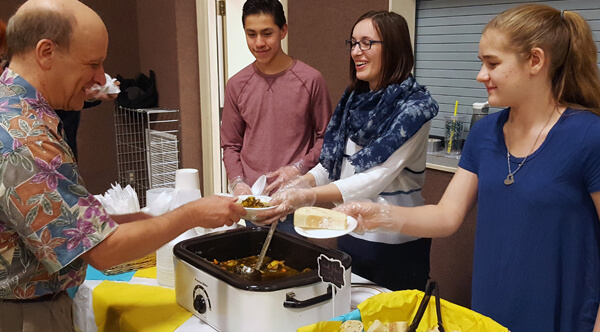 Following the worship service, four multi-cultural food stations were available in the gym. 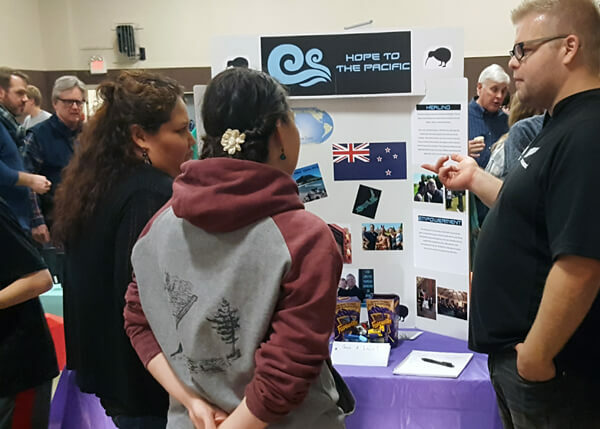 Fellowship is a main reason for this annual event, so everyone was invited to sit and chat as they ate dinner or walk around the display tables set up in the gym as a way to get acquainted with the DOVE family around the world. The children of DOVE churches in the USA have collected $1,491 to support the children in DOVE Myanmar’s orphanage! This is wonderful news. This money will help provide electricity to the children’s home as well as towels and clothing.